Do You Wanna Know The #1 Secret To Massive Success With Your Home Biz? New here? Like Social Media Tips With Michelle Fan Page. to stay up to date with new posts to help your business grow! Thanks for visiting! Over the years of working from home, I've seen A LOT of people come and go in this industry. It makes me sad to see many of my Facebook friends who were actively working a business 4 yours ago no longer pursuing their dreams of time and financial freedom. They either decided to focus on working a regular job or have kept changing companies… but are STILL not having success. 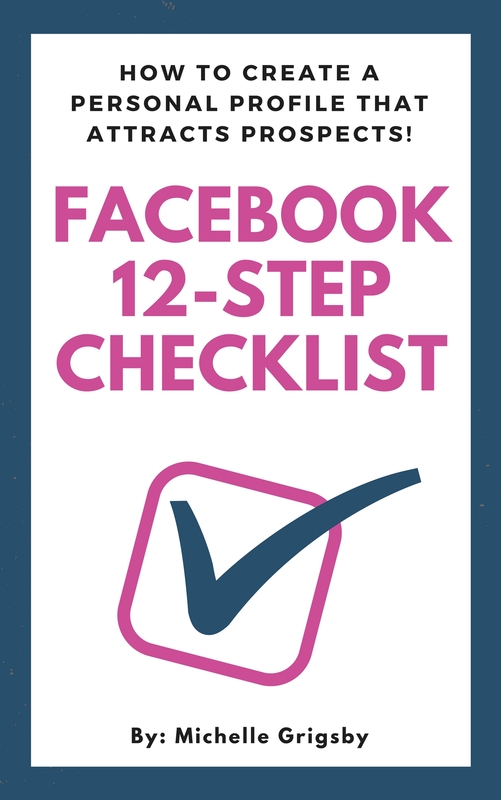 If you're using facebook to grow your business, you need followers, right? Which WILL bring you success! Once I started implementing this, my number followers, friend requests, leads opting into my email list, people buying my products, skyrocketed!! IF YOU WANT TO SELL MORE OF WHATEVER IT IS THAT YOU HAVE, YOU NEED TO ACTUALLY START SELLING LESS. Do less selling and less promoting… and instead, start focusing more on education and training. The FASTEST way to massive success in ANYTHING that you do, is to OUT -TEACH the competition. If you can out-teach your competition, you will achieve success faster than anybody else. You simply focus on teaching people things you're learning. Selling is REALLY just training. We see entrepreneurs struggle so much when it comes to social media, is all they are doing is just trying to sell and promote their products. Sharing pictures of your products and all the amazing specials you're having ISN'T GOING TO WORK. First of all, that's what everyone else is doing. And secondly, have you ever head of the phrase jab, jab, jab, right hook? 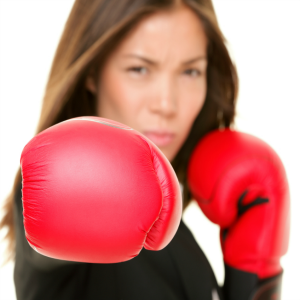 It was coined by Gary V. in his book where he talks about all we're doing is throwing right hooks. So if you understand boxing at all, if you step into a boxing ring and all you're doing is throwing a right hook, you're not going to land many right hooks! you see, it's the JAB, that sets UP the right hook and the JAB in this equation is training and education. Now education-based selling is really the process of you making your prospects and customers smarter and better when it comes to whatever products or services that you have. 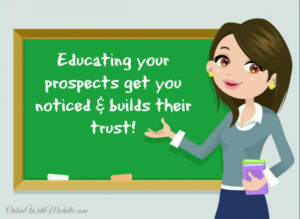 Education-based selling is really the process of you making your prospects and customers smarter and better when it comes to whatever products or services that you have. Let's say you have a weight loss system with health and nutrition products.. If you can educate your potential customers… people who aren't buying from you yet, and you're teaching your potential customers how to be smarter and better when it comes to weight loss, to supplementation, to eating right…. Now your doing this through simply training and giving them valuable information without making a sales pitch all the time. See, when we're leading with the sales pitch, that's when people stop paying attention. They feel like they're being sold, they put up a wall, they resist. But when we lead with education and training, people are getting something out of it.. They're becoming smarter, they're learning more… they pay attention. So if you're leading with training, what happens is this begins something that is critical if you wanna be successful in selling on social media? If you can make your customers smarter and better, then they begin to trust you and once they trust you, they now become more interested in what you have to offer. Sometimes we have the curse of knowledge and we don't remember that common sense….is NOT always common practice. You lead with training and education… you start to gain trust. NOW, if that person has a need for whatever it is that you're offering, They will ABSOLUTELY buy from you…. i'm ASSUMING you have a product that actaully does have value and can help people, right? You're going to see a HUGE difference in your business. If you keep doing a video and teach people some tips on how to have healthy skin, or how to recover faster from a hard workout, or whatever..
And then at the end you say, hey, let me know if you have any needs for anything… I can make some recommendations … OF COURSE, they're going to buy from you…. 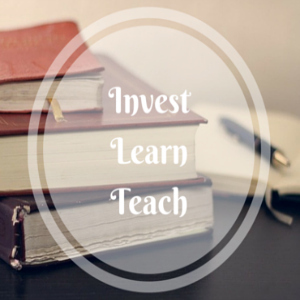 They're going to buy based on your recommendations BECAUSE you've led with education and you've led with training. So, leave your prospects and customers smarter and better when it comes to whatever products or services that you have,…. and watch your business explode. Do you feel a little smarter and better now that you've watched this? 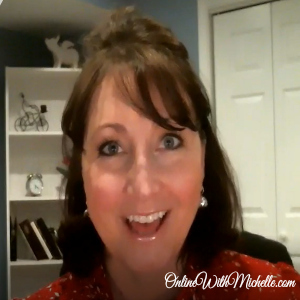 I love to help others hone in on their social media skills and if you are wanting more tips like this, feel free to join my FREE private group. Just go to socialmediatipswithmichelle.com and it will take you straight to my private group. Inside that, I share more strategies and tips to help you build your business. Have an Amazing Day & Be Blessed! Are You a Fan? Please Like My Page!